A horse and travois lightened the heavy work of moving for the native people. 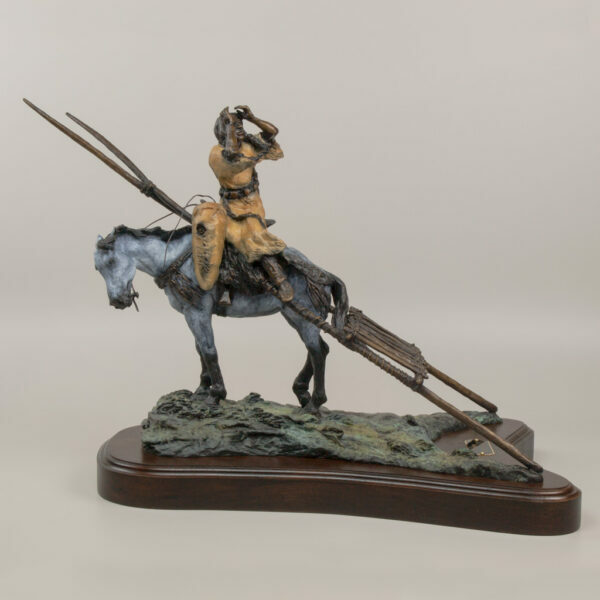 After a buffalo hunt, Indian women would locate the hunters to skin and butcher the meat. 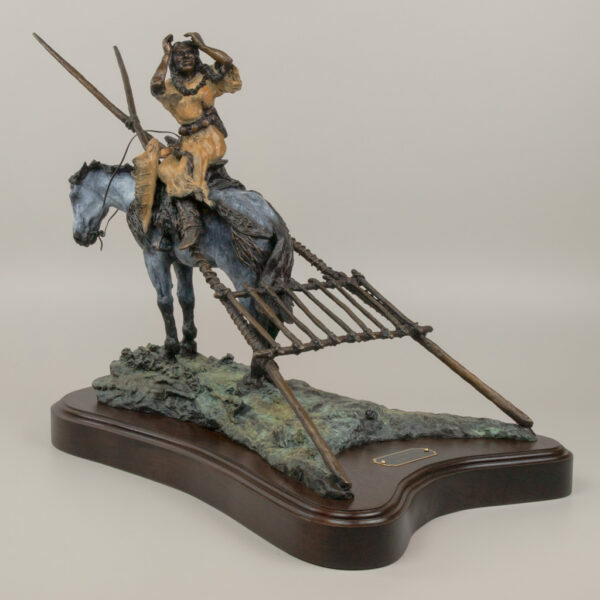 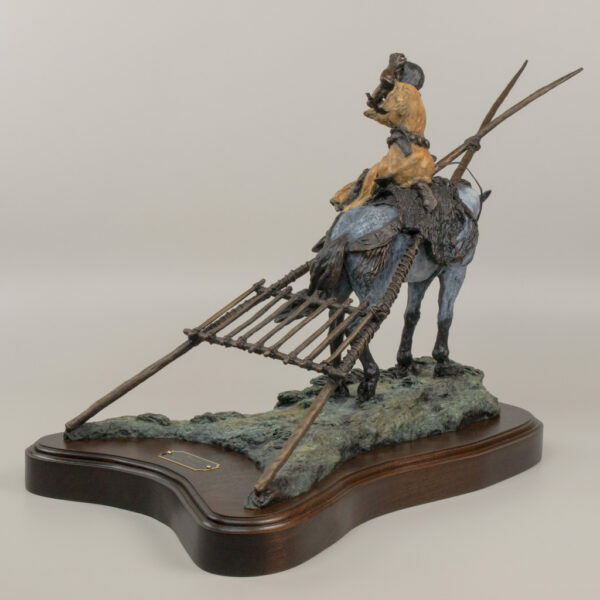 This sculpture shows an empty travois and the woman is on a rise in the prairie trying to locate the kill. 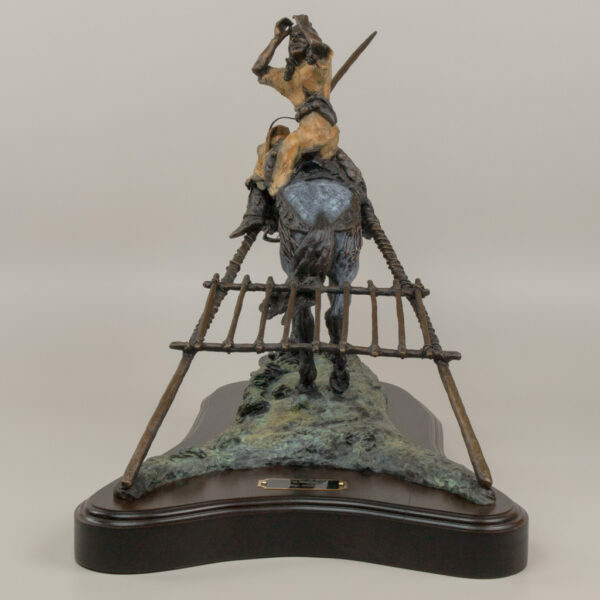 Karen Hepp, Jay’s neighbor, was a young girl at the time he wanted to make this sculpture so she became his model.